A USA-based corporation certified to SAE AS9100D and ISO9001:2016.
dSPACE develops and distributes tools for the development of electronic control units (ECUs) and mechatronic systems worldwide. It was one of the companies that created this market segment 30 years ago, and continues to shape it to this day. The dSPACE systems enable you to reduce development times and costs dramatically when you design ECUs and controllers, which systematically increases your productivity. The reason is an optimal mix of solutions for rapid-control-prototyping, automatic production code generation, and hardware-in-the-loop simulation. dSPACE products are used in a variety of aerospace applications, ranging from aircraft and propulsion systems to unmanned vehicles and spacecraft. FT Technologies manufactures the FT205 - a small 100g wind sensor for UAVs. This sensor uses the same proven technology that is used on thousands of wind turbines around the world. The FT205 is made of a graphite composite for lightness and strength and includes an electronic compass. It gives reliable readings of wind speed up to 75m/s and wind direction as well as air temperature. FT will be exhibiting the FT205 as well as its heated metal bodied products which are suitable for ground wind measurements. Gustav Klein was founded in Schongau in 1948. Its subsidiary company was established in Austria (in Inzing, near Innsbruck) in 1969. In both factories the company has about 250 employees. Gustav Klein develops and produces uninterruptible power supplies (UPS) for DC and AC load up to 2MW, as well as frequency converters, rectifiers, inverters and DC converters. 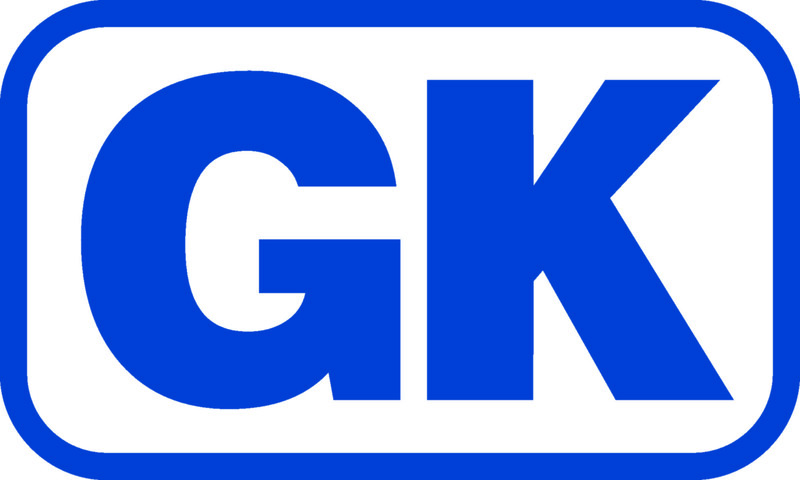 In the last decade, GK has made a name for itself with its robust, programmable DC source/sink for testing and simulation of batteries and fuel cells. They have up to four channels, 1,000V up to 1,000A and a total power of 500kW per single unit. We develop innovative commercial off-the-shelf software products for preliminary aircraft and systems architecture design, which help mitigate technological risks, support investment decisions and reduce time to market. Our software’s open architecture supports the investigation of new and emerging technologies such as electric or hybrid-electric propulsion systems. PACE is part of TXT e-solutions, an international, specialized provider of engineering software solutions supporting customers in high-tech markets in their mission- and business-critical core processes and throughout their product lifecycles. Our solutions for the aerospace and aviation industry focus on high-quality niches such as preliminary design & evaluation, on-board software, digital manufacturing, product configuration, flight operations and training & simulation. Our customer base includes leading commercial aircraft and engine OEMs, airlines, leasing companies, consultants and 1st tier suppliers. With 80 years of experience and a global presence in over 70 countries, Rohde & Schwarz is a reliable partner to a variety of industries, governmental organization and regulators. As a leading provider of solution for test & measurement, secure communication, RF monitoring and cyber security, Rohde & Schwarz offers unique solutions and expertise for the future challenges of autonomous and electric flight. We work closely with our customers and partners on topics like testing of sensors and communication testing, validation of flight navigation, avionic and electric power propulsion system and EMI/EMC challenges to integrate all these technologies into a swift and nimble aircraft. Speedgoat provides customers in the aerospace & defence domain the quickest way to design with Simulink, prototype and test complex controls, DSP, and vision applications with hardware. The modular and high-performance architecture of Speedgoat target computers and the broad range of I/O and protocol interfaces are especially well-suited for innovations towards electrification and automation. VAC delivers customized magnetic materials, parts, cores, components and rare earth magnets for various applications such as: Automotive: Rotor-Stator systems made of CoFe for electric high performance motors. Magnetic actuators, cores and transformers for gasoline and diesel injection systems. Rare earth magnets as well as crystalline materials and parts for various sensor and motor applications. Chokes, common mode chokes, cores and transformers for new boardnet architectures. Energy: DI- and current sensors for photovoltaic inverters. Cores and common mode chokes for photovoltaic inverters. Current transformers and cores for electronic Whmeters. DI current sensors and power transformers for electric vehicle charging solutions. Industrial: Current sensors, cores, common mode chokes, permanent magnets, magnetic materials and gate drive transformers for energy efficient. Industrial drives Aerospace: CoFe rotor-stator systems and permanent magnets for high performance alternators and motors. Vector Informatik is the leading manufacturer of software tools and embedded components for the development and test of electronic systems with more than 2000 employees at 24 locations worldwide. For the Aerospace industry the Vector test tools CANoe and VT System provide a scalable and re-usable solution from pure SiL simulations to HIL testing to functional acceptance tests. The VectorCast platform provides developers of safety critical software an efficient and automated way to improve software quality and meet certification requirements. It provides a complete and automatic testing infrastructure which allows teams to collaborate on test activities, and implement highly parallel and repeatable testing. YASA designs and manufactures lightweight electric motors and inverters at its series production facility near Oxford in the UK. The company has been developing and manufacturing electric motors for aerospace propeller driven applications for over 5 years and YASA’s current aerospace motor technology features power density in excess of 15kW per kg (peak). Zodiac Data Systems (ZDS) provides flight test instrumentation and telemetry solutions for the most challenging environments. ZDS customers are leaders in the design and manufacture of state-of-the-art products for aerospace, defense and industrial applications. 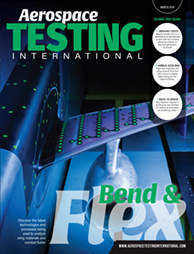 Their challenges for testing and prototyping require their measuring systems to be flexible and of exceptional quality. Our mission at ZDS is to support our customers with our long standing knowledge and wide range of application experience to overcome these unique testing requirements by utilizing the latest technology and offering the highest quality of products and services available to the industry.